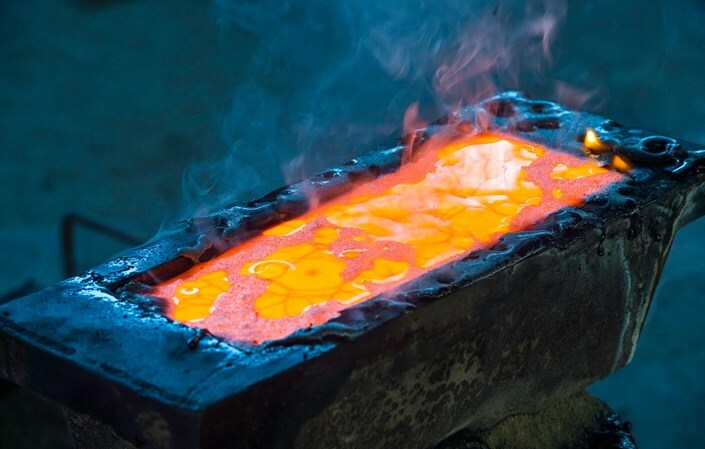 Zimbabwe will treble gold output to 100 tonnes in 12 years on the back of recapitalisation in the gold sector, the Chamber of Mines has said. Gold output is projected at 30 tonnes this year after the increase in the gold support scheme from $74 million to $150 million injected last year. Chamber of Mines chief executive officer Isaac Kwesu told a private sector meeting in Harare yesterday that there were plenty of opportunities in the mining sector. "We are targeting 100 tonnes in the next 12 years. We are likely to produce 30 tonnes this year which is a record," Kwesu said. The highest output Zimbabwe produced was 27,1 tonnes in 1999. For gold to reach the target, an investment of $900 million is required, the mining body said. Kwesu said platinum output was also expected to treble in the period under review to 50 tonnes from 16 tonnes. Diamond output was projected to jump to 20 million carats from the current 3,5 million. He said mining was capital intensive, requiring $11 billion. "We have seen a number of projects coming on stream and other brownfield mines being revived," Kwesu said. He said there was need to invest in the energy sector which has become a critical input and not an enabler for the mining sector. "Our demand for electricity has grown from 18% to 23%. With new projects, we expect that it will go up to 25%," Kwesu said. He said the sector was hamstrung by a high cost structure with electricity going for as much as 13 cents per kWh at a time miners in South Africa were being charged 5c. Mining is one of the country's largest foreign currency earners.